What does the Internet say about our latest rival? As always let’s take a look at the Alexa rank. Currently, the main BitcoinKings audience comes from Russia, Iran, Venezuela, India, and Ukraine. Of course, Alexa rank must be perceived only as a hint. What do the people share on the Internet? For now, the main discussion is focusing around the investment offer – the lifetime plans, deposit withdrawal fee that some have been charged and deposit bonus that some haven’t received. In addition, people are making fun of how popular the program is considering the age of it – in the first days, the website showed a quite impressive statistic. 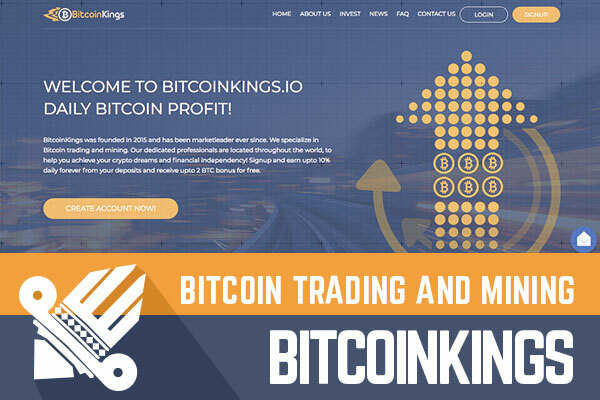 Do you have any experience with BitcoinKings? Share your thoughts in the chat box below or on Davidnews.com chat. Have you already made an investment in BitcoinKings is and have any useful information to share with us? Please drop a message in the chat box to share your experience!